This past April, our spinning Guild (Nutmeg Spinners’ Guild) hosted Amy King (Spunky Eclectic) and her two-day Sock Intensive workshop. I’m not much of a sock knitter, but I love learning about all kinds of different spinning techniques! One of the yarns that we made was an energized single. 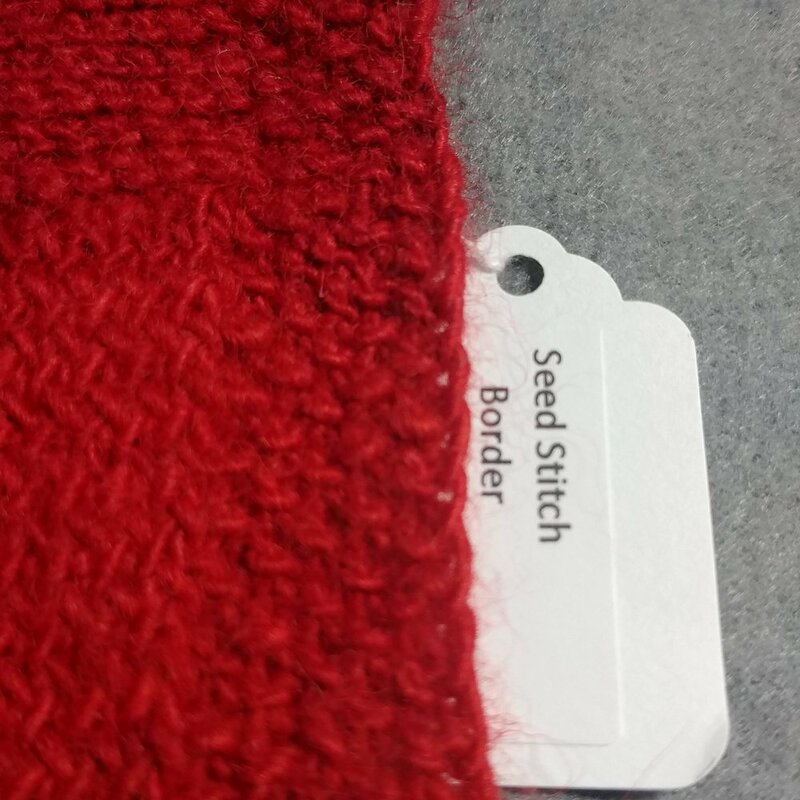 We often talk about the effect that yarns that are not balanced have on knitted and woven fabric. During the workshop, Amy also discussed different ways to mitigate these effects when knitting. I’ve always understood the concept but have never actually experienced it for myself. So here I was with this bobbin with a fair amount of energized singles and it occurred to me that this was a perfect opportunity! And so, my experiment began (see photos below). 1. I started with 2x2 ribbing and a seed stitch border. Result: Each of these areas are fairly straight. 2. 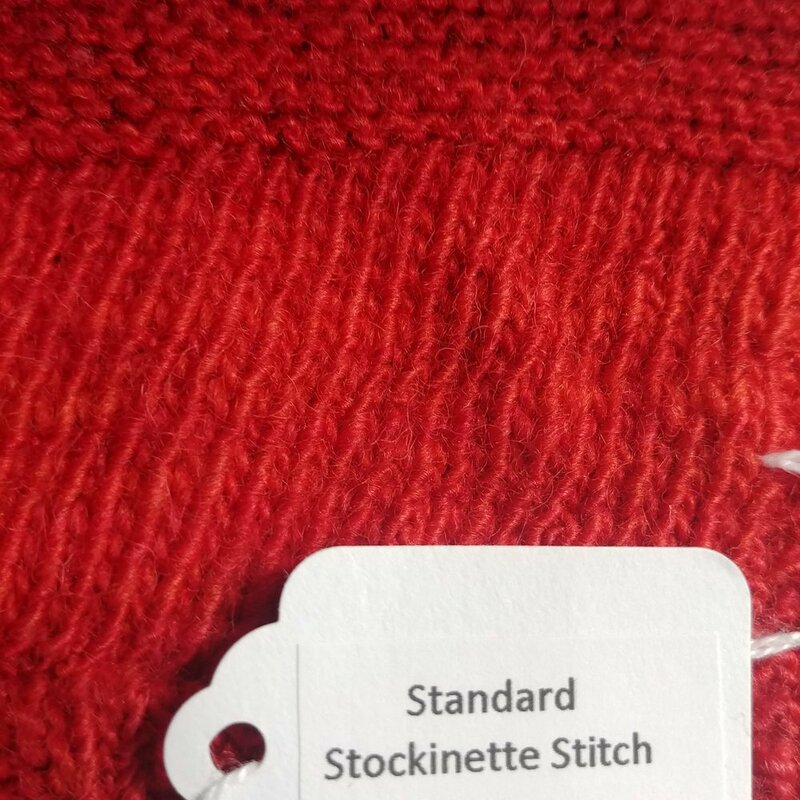 Next came a section of standard Stockinette Stitch. Result: This section showed a definite slant to the right. Result: This section is fairly straight. 4. 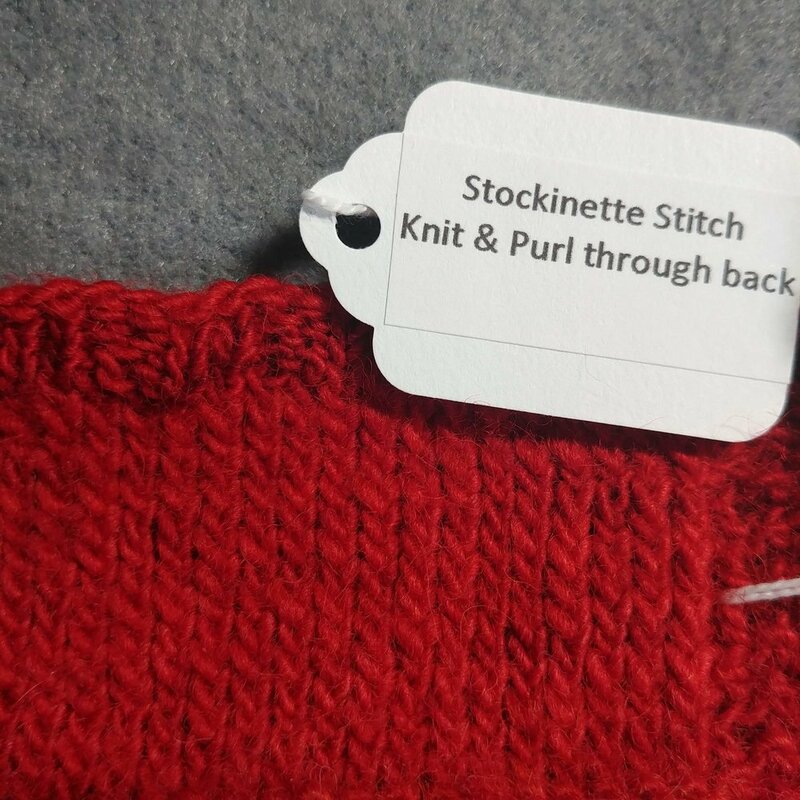 In the next section was Stockinette Stitch in which I knit through the back loop and purled through the front loop. Result: This section is fairly straight. This also created a very interesting effect! 5. Last, but not least, was the Stockinette Stitch in which I both knit and purled through the back loop. Result: This technique also created a straight fabric. So, there you have it. Have you ever made a sample “just to see what would happen”? What were your results? Please share!